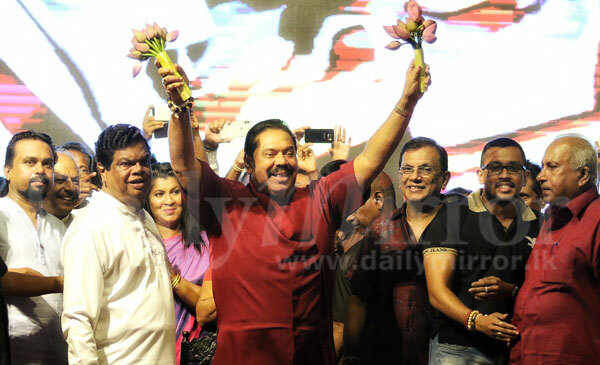 Former President and MP Mahinda Rajapaksa, who spearheaded the Local Government election campaign of the Sri Lanka Podujana Peramuna (SLPP), yesterday claimed that they had a plan to transform the country into a paradise if the SLPP wins the February 10 local government elections. 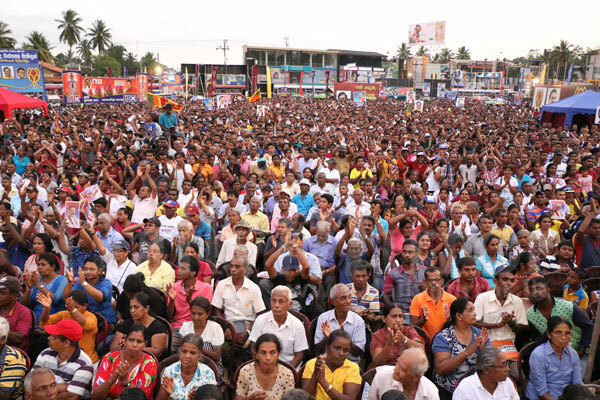 Addressing the final election rally of the SLPP held in Homagama last night, Mr. Rajapaksa said they have already shown what they are capable of by putting an end to a 30-year war within a short period of 3 years. "I invite people to have faith in us. People already know the development projects we have carried out to uplift the country. Today, no such development is taking place. During my visit to Jaffna recently, residents complained that not even a culvert had been dug by this government. If we are voted in, we have a plan to transform the country into a paradise,” he said. He said the government had gotten it's priorities mixed up as Prime Minister Ranil Wickremesinghe was more focused on providing free Wi-Fi to the public without paying attention to the real problems of the people such as hunger resulting from the high cost of living. He said the performance of the country's economy has been abysmal during the past three years.“The economy is in chaos today. the mismanagement of LG bodies has resulted in garbage piling up all over the country. Dengue has also shown a marked increase resulting in more deaths. The underworld is raising its ugly head again and drugs are being sold out in the open," he said. He said the people should vote for the SLPP to save their children from the drug menace. "To save the country and our children from the drug menace and to prevent the country from being divided into pieces, vote for the lotus bud,' he said. National Freedom Front (NFF) Leader Wimal Weerawansa said the government was attempting to betray the country 'politically' to separatist groups and the Global Tamil Forum (GTF). "This is why the Minister Counsellor of the Sri Lankan High Commission in London was suspended for making a gesture towards the protesting LTTE supporters. Later on, the President had reinstated him. Suspending the officer is not reconciliation. Becoming a puppet of the GTF is not reconciliation. We would like to thank the minister counsellor for standing up for the country," he said. 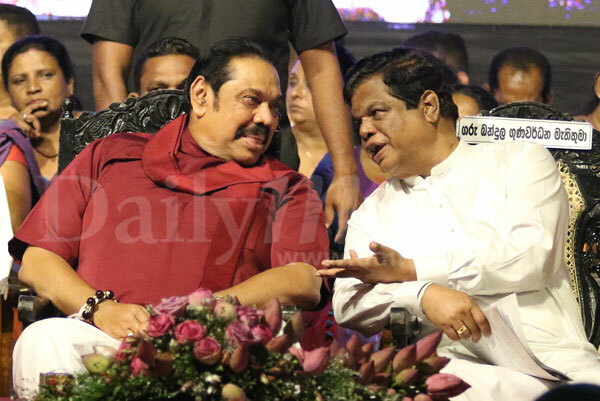 Meanwhile, MP Bandula Gunawardane opined that the leaders of the government including the President and the Premier fear that they could be facing an election defeat. Winning a war and paradise are at the two ends of the stick. Time for the reds at least at this election for a start. He will live in paradise and we will..........!!!? With or without white vans? With or without highly corrupted family members? With or without US citizen brothers? Paradise for whom? You and your family? No surprise about this plan for paradise, imagine the commission for him and the loans for us. thanks for ending the war and bringing peace to all of us but ruining the country after that by your family is very sad. The respect you earned is just gone down the drain. Did not drugs (heroin) begin to come in container loads during his term? How many were arrested? Yes Sir, You will once again make this country a paradise for you and your family. Good luck. YES WE ARE LIVING IN THE PARADISE CREATED BY YOU - WE ARE PAYING AND SUFFERING FOR WHAT YOU HAVE DONE, YOUR SINS! Paradise for whom? Family members? Yes, a paradise for himself and his family. Why did he not serve his full term and. Convert this country into paradise instead of giving up the Presidency two years early. Thank you for the paradise you have already changed us into. Every citizen of this country owes the world Rs. four hundred thousand plus. Is this our fault or the fault of you politicians? Remember once bitten twice shy. He has already made paradise for his kith an kins. That is enough. Let him be at home for ever. You had enough time and power to do so in the past ,but tried to make paradise for Madamoolana group.People will not get misled again. Yes you did one time WONDER OF ASIA ... and able to go home even before the term ends. Paradise for you and for your family but hell for us. Mr Parasite , we know once, how you made this island `The Miracle of Asia`! Please go to hell with all my blessings! Proved himself a great liar by saying that the Counsellor was scratching his neck. Shame to be a Buddhist. Devil praising that he'll is beautiful than the heaven and call us all to accompany him in his tour. Yes. The country, then, became a white van paradise too! You have ruled for two terms. It is the maximum period. So do you have any ethical right to contest any more? It is your craving that pushes you to remain and engage in politics more and more.At this age it is high time that you engage in your religious activities and look forward to your next life. Next life?He will surely not go to heaven and no body wants to be with him n the hell. Poor fellow. Yes yes we now know how you made paradise for your family and henchmen - read the AG's report today's news papers? Paradise for whom? Innocent masses???????? He will get paralyzed before we see a paradise out of Sri Lanka under his rule. We did have a taste of your Paradise during your tenure, and OMG we do not want it repeated. Enough is enough ! people have to choose a paradise full of Lamborghinis, rapists and grave diggers and jokers as oppose to a hell with bond scammers and of course jokers. or my god not anther MR. sri lankans think about your country and your air line. 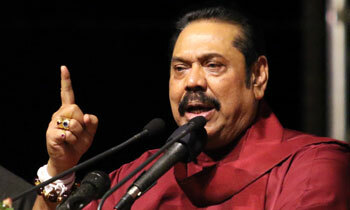 Those who watched Derana 360 where Mahinda Rajapakse participated would have heard the lies he told in that discussion. 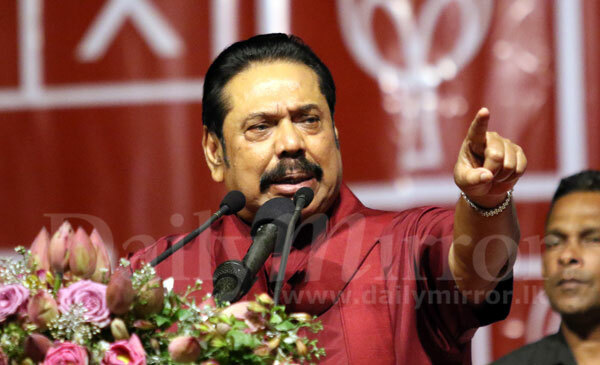 Shame on Mahinda for telling lies, does he think voters are dummies? Above all Dilka the anchor did not fact check and its sad to have such low standard anchors in SL television circles. Yes we did not forget your Asia's wonder. I remember you very well. You said our motherland will be a miracle in Asia. But you never said it was for your family. Those benefited during your ruling was simply your family and your friends. How long you intend to cheat our people. Enough is enough please retire from politics with all your criminal gangs.